The women’s tennis team finished in conference play this past weekend when they took on the Samford Bulldogs. The Bucs were able to come away with a victory with an incredible shutout 7-0. With this win, the Bucs have an overall record of 10-10 and a conference record of 5-2. The Bucs came out with a remarkable final game in the conference series, giving Samford their first loss in conference play. 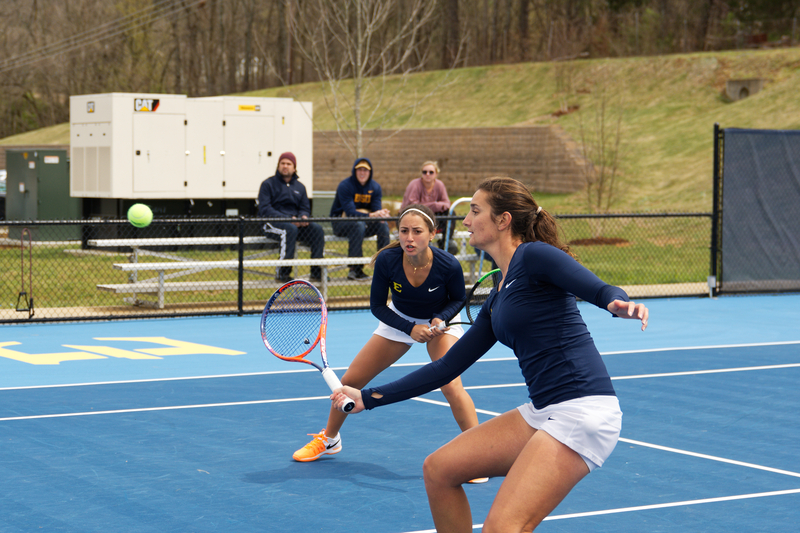 The Bucs were able to dominate in both doubles and singles competition. 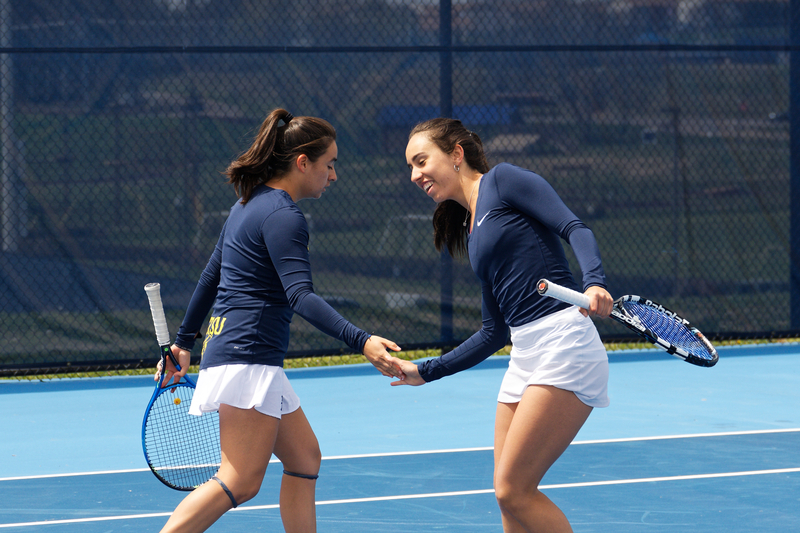 Sophomore Andrea Pascual-Larrinaga (Basauri, Spain) and freshman Alejandra Morales (Santiago, Chile) began with an impressive doubles match, scoring 6-1. 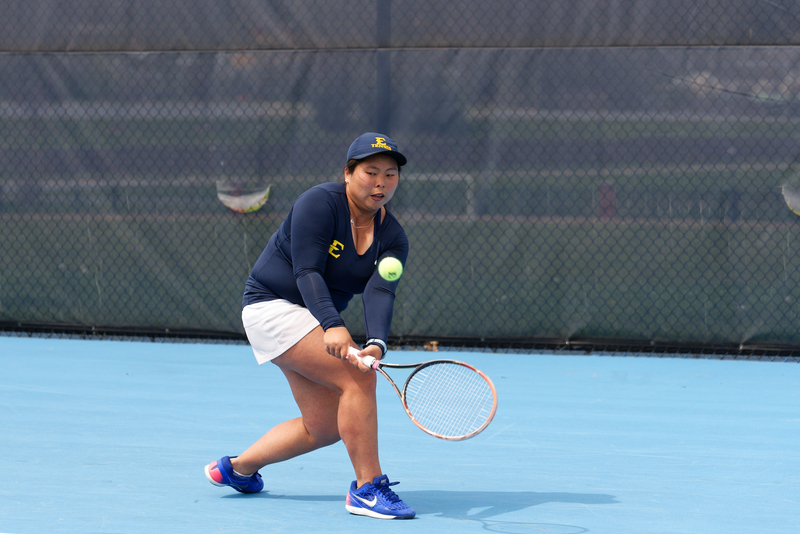 Also, in doubles, senior Melissa Esguerra (Derrimutt, Australia) and redshirt sophomore Yi Chi Ma (Kaohsiung, Taiwan) met success with a score of 6-2. Finally, seniors Alory Pereira (Sao Paulo, Brazil and Ioanna Markesini (Athens, Greece) finished the doubles play with a win and a score of 6-4. In singles play, the Bucs continued to control. Morales started off with of 6-1, 6-4. Pascual-Larrinaga also picked up a win with a score 6-2, 6-0. This win marked her sixth win in a row in singles play. 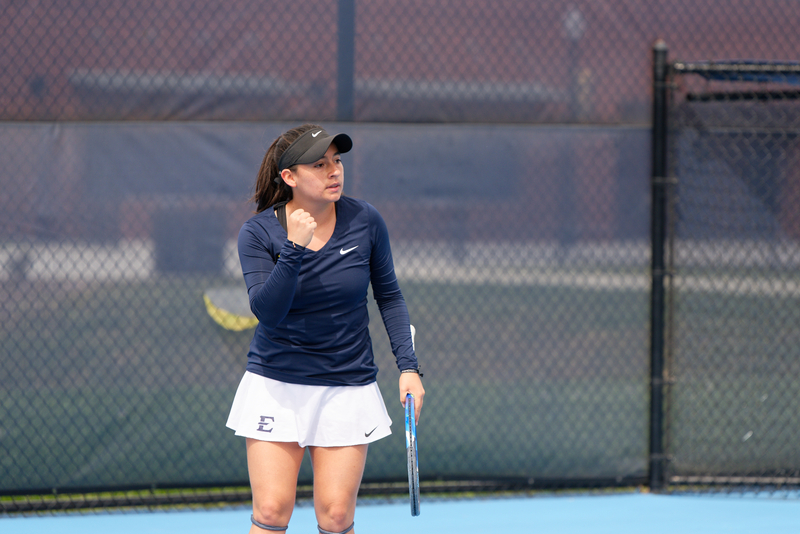 Pereira picked up a win as well with a score of 6-3, 6-4 giving the Bucs a number one spot. The momentum continued as Chi Ma and Esguerra secured victories with 3-6, 7-6, 10-7 and 4-6, 6-0, 10-5. Markesini wrapped up the singles games with a win of 7-5, 7-6. The Bucs were able to bounce back from a tough loss the day before against Furman. This win gives the Bucs confidence as they finished up conference play. This season has been a rough one for the Bucs as they have been tested in every way. This weekend the Bucs conclude their well-played season with their senior day. It will be sad to see the seniors go, but it will great to recognize what they have accomplished this season. The Bucs take on Appalachian State in the last match of the season with the home court advantage.